Radio Frequency Identification (RFID) is becoming more prevalent in the manufacturing industry as companies find ways in which its benefits can be used to greater enhance the accuracy of data collection and identification of products. RFID has been used extensively in the retail industry as a tool for identifying and tracking inventory, and now those benefits are being recognized in manufacturing also. Many manufacturing companies use an Enterprise Resource Planning (ERP) solution and to obtain the maximum benefits from RFID, they need to ensure that the appropriate RFID solution for their processes can integrate with their ERP solution. Manufacturing companies using SAP can use RFID to track their products along the supply chain. 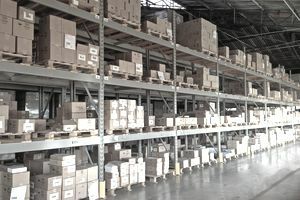 This means items can be identified during the inbound delivery process when the items are in inventory and then during the outbound delivery process. Customers have access to track their items during the shipping process by the RFID tags on the items. When inbound deliveries reach a plant with RFID, the tagged items can be processed using automated goods receipt and validation of the advanced ship notice (ASN). The goods receipt process will also identify incorrect items and quantities sent by the vendor. During the outbound delivery process, the items can be tagged, loaded onto cases and pallets and automatic goods receipt can be achieved using RFID. An ASN can be sent to the customer with the items details. While the tagged item is stored at a plant, the item can be tracked using the RFID tag. If the item is used in plant maintenance processes, such as work orders, information can be recorded about the item on the attached tag. The SAP solution for using RFID with an enterprise solution, SAP ERP, is via called SAP Auto-ID (SAP Aii). It is a middleware system that receives data from an RFID data capture source, which is usually an RFID reader, and then integrates the data from the RFID tag directly into the enterprise application. SAP Auto-ID is comprised of two main components. Core Services – this includes the flexible definitions and rule set environment. Integration Services – Auto-ID interacts with three types of environments; the backend systems via SAP XI, the RFID devices, and the web user interface for control and user maintenance. When an RFID reader activates a tag the information is captured and sent to the device controller. From there, the information is sent to the SAP Auto-ID system via Extensible Markup Language (XML) or Product Markup Language (PML). The SAP Auto-ID core services then verify the captured data against the defined rule definitions and will then pass the information to the SAP XI system via XML. SAP XI then converts the XML data into an IDOC which is received in SAP ERP. SAP XI has to translate the two formats so that the messages can be passed without error between SAP ERP and the execution system. A mapping process is undertaken to map the data from XML to the data required in the IDOC. When the IDOC is received by SAP ERP the data from the IDOC is verified and processed. For example, if the data from a tag is captured for a goods receipt then the information contained in the IDOC will be processed so that a goods receipt is generated automatically based on the rules defined in SAP Auto-ID. This article has been updated by Gary Marion, Logistics and Supply Chain Expert.